This is the HPI E10 Drift 1/10 Scale Ready-To-Run Drift Car with a Discount Tire/Falken Tire Nissan S13 Body and a 2.4GHz Radio System. HPI Racing is proud to announce the officially licensed, Discount Tire/Falken Tire Nissan S13. Dai Yoshihara’s 2012 sideways sliding Nissan S13 has also been scaled down to a perfect 1/10 scale version to provide drifting fans with the most excitement and realism out there! 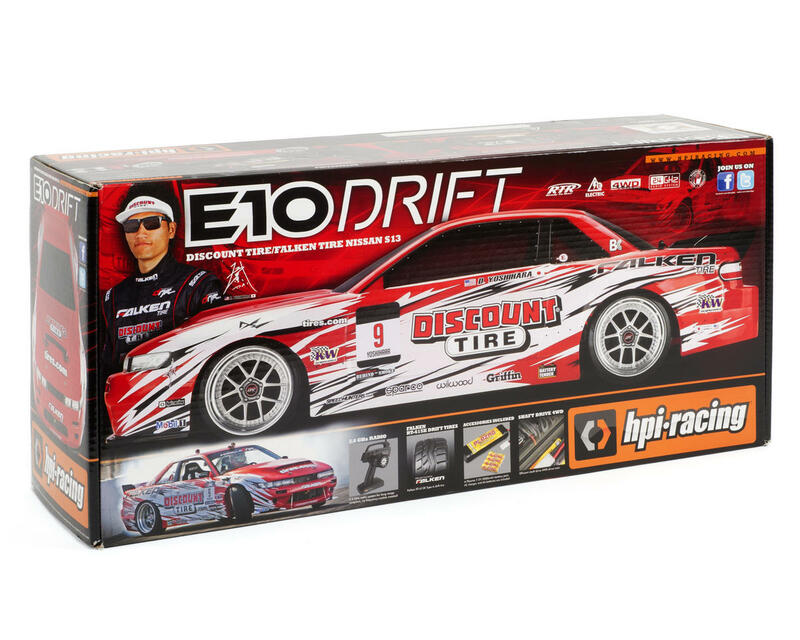 Discount Tire / Falken Tire’s trademark livery has been perfectly replicated onto the E10 Drift, as have the officially licensed Falken Azenis RT-615K drift tires. 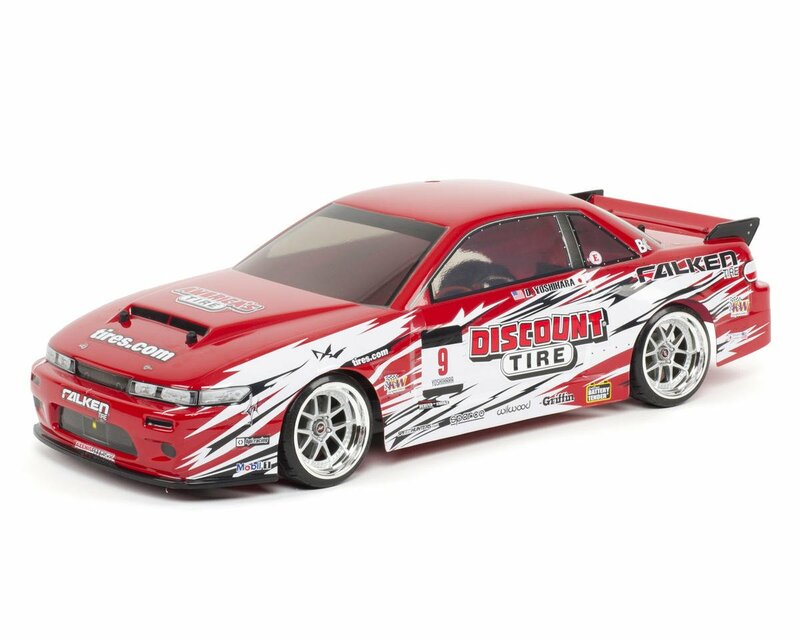 The Discount Tire/Falken Tire Nissan S13 E10 Drift is also equipped with an HPI 2.4GHz radio system, and also includes a Plazma battery pack, Plazma AA's, and an AC wall charger for instant drifting excitement! 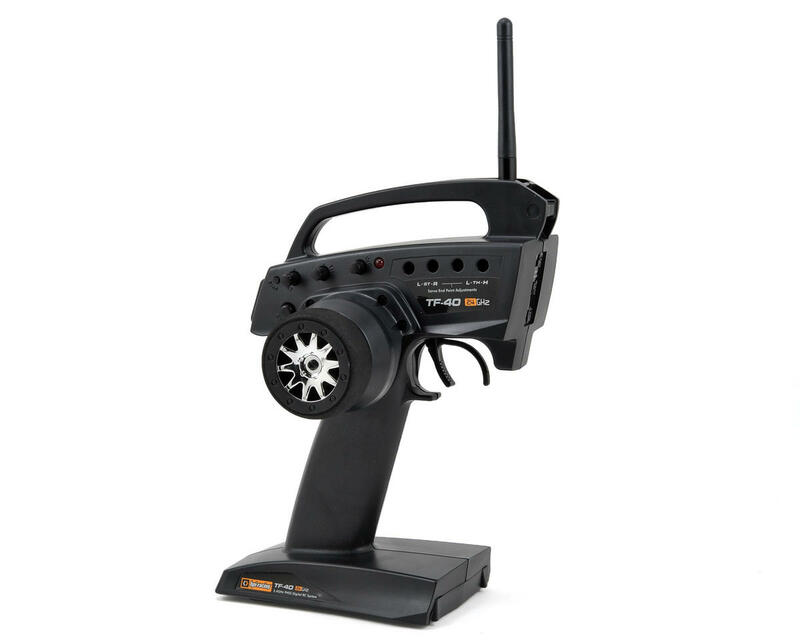 2.4GHz Radio System: The Discount Tire/Falken Tire Nissan S13 is equipped with a high quality HPI 2.4GHz radio system. 2.4GHz technology provides you with the best possible vehicle operation and control, without the need of crystals, just turn on your radio and drive. Drifting in large groups is possible without running into any frequency conflicts. Bonus Accessories: Also included are all of the accessories necessary to get you up and drifting in no time! A rechargeable 7.2V Plazma battery pack, Plazma "AA" batteries for the transmitter, and even an AC wall charger are all included to help get you sideways as soon as you open the box. 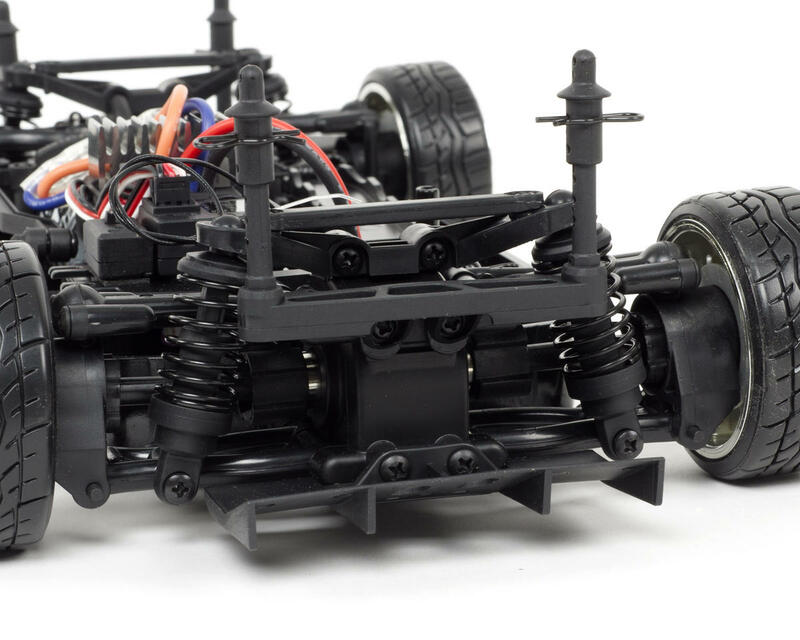 Ready-To-Run Electric Drift Machine: The RTR E10 Drift from HPI Racing is an entry level 1/10th scale electric drift car designed for fun driving with realistic looks and performance, all at a low price. The E10 was designed so anyone can take the wheel and give drifting a try! 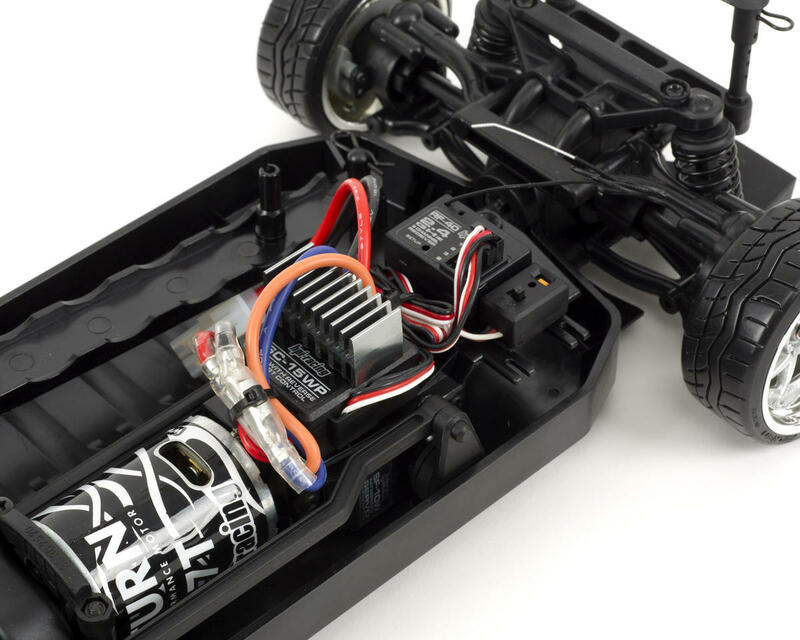 Arriving right out of the box in ready-to-run (RTR) form with a fully painted body and a pre-assembled chassis, it's a simple matter of 'charge and go' for hours of fun. Plenty of Horsepower: The RTR E10 includes a high-performance SC-15WP electronic speed control that has throttle, brakes and reverse, allowing it to drive and maneuver just like real cars. Providing the horsepower is a powerful Saturn 27T electric motor for reliable power and performance with low maintenance. 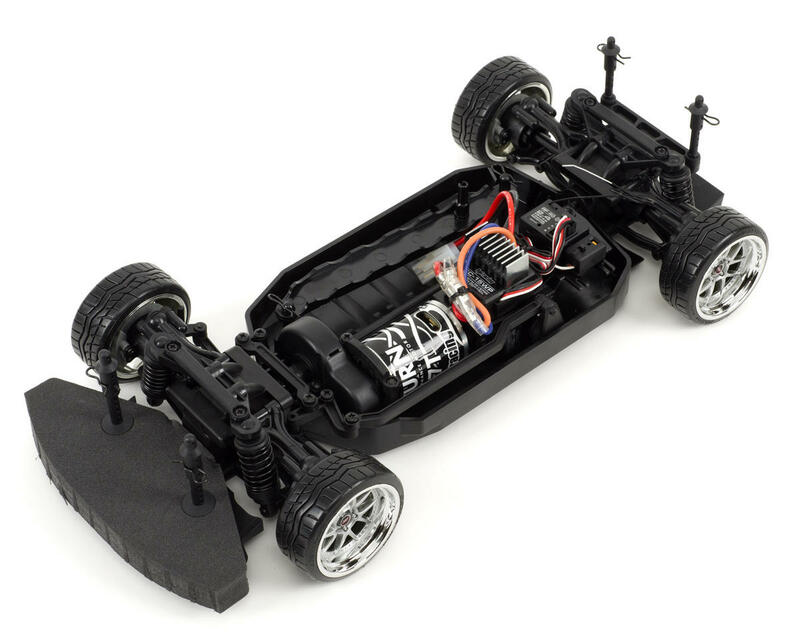 Customize: The E10 uses standard body mounting points so owners can fit a wide variety of HPI Racing bodies to customize the look of their car. Most popular wheel and tires bolt right on for extra tuning and styling options. It's super-easy to choose from an extensive range of touring car, muscle car and drift car accessories to customize the E10! For Extra Excitement: The E10 is designed so that it can be easily converted from drift driving to street/touring. 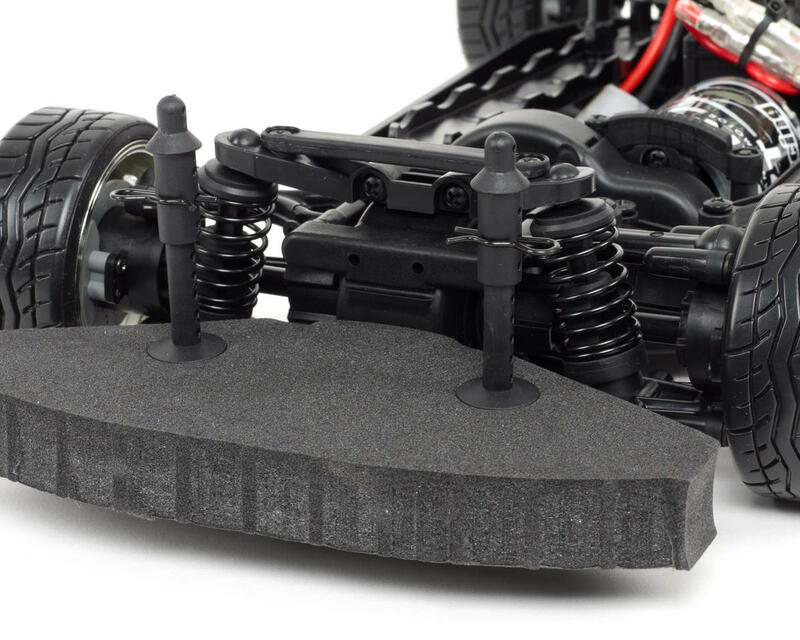 The motor and radio equipment can be moved to optimize the weight balance for smooth drifting or high grip cornering. Complete instructions are included in the box for owners looking for a change of pace in driving styles.